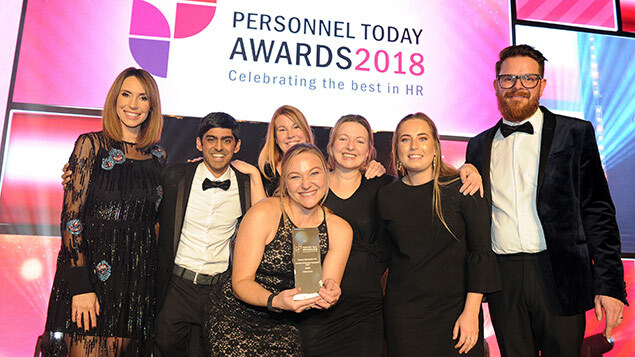 McLaren team members pick up their award at the Personnel Today Awards ceremony in November 2018. McLaren won the Excellence in Learning and Development category. Also pictured are Alex Jones of The One Show and Rob Moss, editor of Personnel Today. 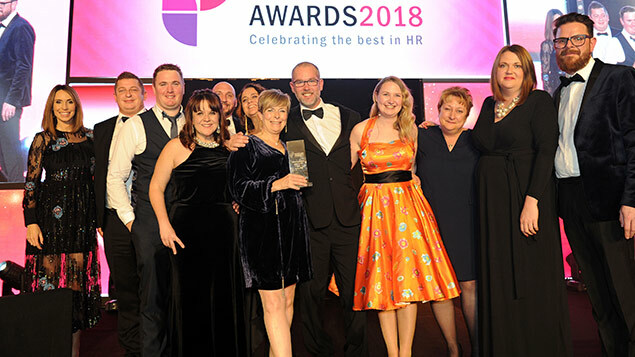 McLaren’s online learning platform put the engineering and motorsport company in pole position for the Excellence in Learning and Development Award at the 2018 Personnel Awards ceremony. But it was a good race: the judges found plenty of evidence that learning initiatives benefitted each of the shortlisted organisations, boosting motivation and focusing staff on key objectives. Engineering and motorsport company McLaren had always invested in learning but, using people analytics, discovered that its more traditional approach was not delivering the desired results. Its research found that personal development was the most important employment factor for those between 18 and 24 and 25 to 34 – key generations it wanted to attract to its talent pipeline. It also wanted to shift its workplace culture towards more modern ways of learning and encourage employees to take ownership of their careers. The solution is a mobile-ready online learning platform called The McLaren Learning Campus, which enables employees to access resources from multiple devices whenever and wherever suits them. It encourages social networking and learning discussions in real time, and also offers a dedicated mentoring section where staff can gain insights from McLaren business leaders. There has been an improvement in return on investment on learning – within eight weeks of launching, 70% of employees said they felt responsible for their own career and development (up from 67%). There has also been a 5% increase in the number of employees feeling they had the right opportunities to learn and grow. All managers going through the Management Excellence Programme said it would help them to perform better in their roles and responsibilities. The new platform enables McLaren’s global, distributed workforce to be more readily connected, share knowledge and learn from each other. Brighterkind has 70 care homes across the UK and employs around 4,000 staff. Its goal is to help those in its care ‘Love Every Day’. With teams so geographically dispersed, it was difficult to run regular training sessions on site. Yet the company needed to provide regular reminders of brighterkind’s culture and values and achieve a positive team culture. Having articulated its values, the company began ‘train the trainer’ sessions and introduced cultural champions known as Pacesetters. It was also important for training to be delivered in regular, bite-size pieces rather than a ‘one-hit wonder’. Training modules include ‘sketch your role against the brighterkind values’ and Pacesetters need no prior experience to become ambassadors for the brand. Leadership training has also been revitalised, with a new two-day residential programme on offer as well as a 14-month leadership development scheme. Senior managers take part in three, two-day modules on aspects of leadership such as self-awareness and role-modelling. There has been a shift in focus from e-learning – which many employees found boring – to more face-to-face sessions. Customer net promoter score is up to 50 from 41.5, while employee NPS has increased from -3.6 to 19.4. Nine out of 10 employees believe the company delivers on its values. Energy and services giant Centrica is split into three divisions – consumer, business and exploration & production. It is in the midst of a large-scale transformation programme and needs to invest in training employees to perform their role effectively, improve digital engagement and create a better customer experience. Centrica came up with L&D Academies, a global L&D proposition to ensure everyone can access the learning they need to perform their roles. They are designed to offer consistent learning across the group, are designed in a way that learning can be personalised, as well as providing greater self-service and flexibility. All Centrica employees, including third parties, can access L&D Academies. The first to launch was the Management Academy in July 2017, which offers front-line managers a suite of digital learning tools to help them acquire the fundamental skills for their roles. Centrica partnered with Skillsoft for the majority of the content, which is designed to engage learners with a consumer-like experience. Much is delivered as three-to-five minute ‘microlearning’ videos that can fit into workers’ busy schedules. Around 400 modules are completed every month, with each month bringing an increase in users. There has been a 75% reduction in cost compared with the previous face-to-face delivery, and 72% are repeat users who have viewed the content three times or more. Computershare Loan Services (CLS) is the UK mortgage servicer arm of Computershare PLC, created after the acquisition of HML and UKAR. When the company merged in October 2016, the L&D team was formed from a combination of legacy teams. It needed to integrate centres of excellence onto one platform, onboard clients, offer a strong career development proposition to attract and retain talent and support leaders to drive forward the company’s market position. A further priority was to establish a behavioural framework for a merged company where employees had been used to different learning heritages and cultures – some formal, some not. This meant the first challenge was to set a clear strategy with defined measures and alignment to corporate goals – the shift needed to be quick, so it was nicknamed #quantumleap. CLS introduced a new learning management system and has created videos, webinars and e-learning to complement values. A learning at work week attracted 45% of the colleague base and was followed by a 684% increase in visits to the LMS. It has taken advantage of the apprenticeship levy, with 20 apprentices working towards a Level 2 qualification and a Level 3 aspiring manager programme also attracting levy funding. Estimated savings to the business of streamlining learning have been £681,366 and internal offers for vacancies sit at 61%, reducing external recruitment costs. KP needed to build trust and improve market share after being sold to Intersnack and undergoing a major internal change. Only 59% of staff completed the Best Companies employee engagement survey (against a target of 80%) and the survey results that did come in showed a lack of confidence in leadership. The company had already begun to create KP values and behaviours, so set about developing a new programme called ‘Living Leadership’ to ensure its leaders could embody these values. It began with a pilot of 12 leaders and budget of £80,000, and included 360-degree feedback, telephone coaching and a week of working in the community with charitable organisations. Coaches from the Bridge Partnership worked with leaders to push them out of their comfort zone, and performed follow-up reviews to gauge how their behaviour was shifting. Ninety percent of the leadership team have now been through the programme and have become mentors for others, sharing the methods and tools with line managers and graduates. They can take part in another 360-degree feedback exercise 12 months and even two years on to see if they are maintaining momentum. Participation in the Best Companies survey has gone up to more than 90% and sales have improved, with more than £100 million in extra revenue from 2016 to 2018. Newton is a fast-growing operational improvement consultancy – its employees rise quickly through the business, taking on responsibility early in their careers. Previously, emerging leaders had learnt on the job, but the company wanted to offer more proactive support. It designed and built its pilot Leadership Development Programme to identify and accelerate the growth of promising future leaders. Newton mapped a number of core competencies, leadership skills and behaviours alongside the company’s values and mindset. Some aspects could be delivered in-house, and external partners were identified to offer experiences such as a 10-day photojournalism course in Ghana. Each participant in the leadership programme had to implement a personal project; directors got involved in role-play exercises and sessions on embedding learning. Participants have found the programme “personally transformative”, according to Newton, and there has also been a positive impact on its business and internal processes. All participants have been promoted, the group continues to meet regularly and the programme also managed to have a socially responsible impact. International hospitality company PPHE aims to give guests a unique experience with a welcoming, comprehensive service. However, many guests reported that employees lacked English language skills – between January 2016 and October 2016, there were more than 250 comments complaining about team members not being able to speak English very well. PPHE needed to implement an English language learning and development strategy quickly and efficiently. It chose Rosetta Stone’s Catalyst e-learning solution, which has 24 language options and supports individuals to learn through immersion. Users can work at their own pace, speech recognition technology helps them to gain confidence, and they can initiate a live chat with native speakers through online tutoring. Rosetta also delivered an ‘English Screener’ test to measure the proficiency of front of house staff as part of the company’s learning needs analysis. 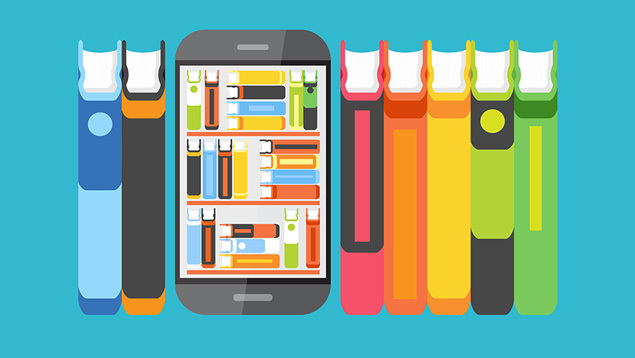 Monthly usage reports were sent to line managers, and at three and six months of use, employees were asked to feed back on their learning experience. This feedback has been extremely positive – 70% of employees believe it has improved their English, employee retention is higher, and negative customer feedback about language skills has gone down 35%. The Co-op has recently returned to profit after a tough period, and core to this has been its ‘Rebuild’ strategy and investment in learning and development. The Being a Co-op Colleague enables employees to develop and enjoy a varied career across the group – something that had previously been identified as something that was lacking. The company wanted to put pathways in place that would prepare colleagues for current and future roles. My Co-op Career is split into hubs, such as leadership, customer and not-for-profit. The ‘Core’ module is open to all colleagues, and employees can take the next step through the ‘Boost’ and ‘Excellence’ platforms, but they involve a nominations process. Learning content includes a virtual reality tour of the shopfloor to illustrate operational standards, while Boost modules include learning around emotional intelligence and ‘Mate to Manager’. Just four months after the first phase of the Boost strand, 151 colleagues have been promoted. More than two-thirds of store managers have been recruited internally, compared to 40% in 2017. Nine in 10 store managers feel fully prepared to start their role after the Core induction. Travel company TUI has undergone significant challenges in recent years, including how it makes the most of the merger of TUI Travel and TUI AG. Externally, the travel and leisure market is facing onslaughts from new competitors exploiting technological developments and a more volatile geo-political landscape. TUI wanted to adapt its leadership offering to help employees adapt to this fast-changing landscape. Its training needed to be updated to reflect the fundamentals of modern leadership and to help TUI’s leaders become more agile, adaptable and attuned to technological opportunities. The company partnered with educational institution Hyper Island to come up with two new leadership programmes – one for emerging leaders called Perspectives; and another for senior leaders, called Horizons. Both programmes are nine months long, broken up into two-month modules held at TUI resorts – at the start of each module participants are set a TUI business-related project. Thanks to this leadership training overhaul, TUI leaders can now lead on cross-organisational issues and support the board in developing strategy; drive successful customer engagement; improve operational efficiency and lead digital transformation. They are using tools and processes directly learned from the programmes with their own teams and to improve their performance in their own role. Net promoter scores from participants have been 9.3/10 for Perspectives and 9/10 for Horizons, showing high engagement with the programmes. Between March 2015 and June 2018, Virgin East Coast operated the London to the North East and Scotland line in a joint venture with Stagecoach. However, the company had inherited a ‘command and control’ culture where technical expertise rather than people skills were rewarded and employees were reluctant to take ownership of decisions. The company therefore embarked on a programme that would equip managers to build a more unified culture and support employees to deliver an amazing customer experience. Virgin worked with behavioural psychology partner Lane4, who immersed themselves into the life of the company from train staff to contact centres and passengers. It came up with the 12-month Leading Amazing programme incorporating initial 360-degree feedback, workshops at Loughborough University, learning groups from different functions and online resources. The aim was to develop ‘Happy People’ who could then deliver ‘Happy Customers’, and the programme has achieved impressive results. The number of employees submitting engagement surveys has jumped from 53% to 73%% and the company came top for overall customer satisfaction in the January 2018 National Rail Passenger Survey. “As managers delegate more, junior staff flourish and some powerful ideas are coming through,” reports marketing and sales director Danny Gonzalez.